The travels of steppe nomads further west into Europe and the establishment of the Ottoman Empire ensured that the big steppe flock guarding dogs became known further afield, from SE Europe, including the Balkans, to SE Russia and NW to Austria and a part of Hungary. Ash records a misadventure with an Albanian flock guarding dog in 1859, the writer dubbing it the 'Albanian king of dogs, who is undoubtedly first cousin to the Turkish one.' This account was sparked by a visit to the Islington Dog Show and a sight of Frank Buckland's Turkish Guard Dog being exhibited there. Hamilton Smith writes in 1840 of the dogs used in Persia to guard flocks of sheep, the dog of Natolia, stating they were a deep yellowish red, with a few of them black and white - 'believed to be cross-breeds'. Smith records that a similar dog was found in Central Asia to the Bosphorus. Fanciers of Anatolian Shepherd Dogs might find that of interest, although the title of their breed still causes controversy. 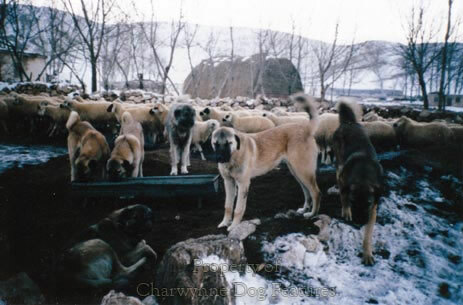 Firstly they are not shepherd dogs in the strict sense, secondly, in their native country, the black-faced ones are called karabash dogs and the white ones, akbash dogs, (now a separate breed in the USA) and thirdly, the Kangal Dog is the title favoured by many (and now recognized separately by the KC). In a country the size of Turkey it is likely that local differences would be found in the national flock-guarding dog. People in Moslem countries are sometimes alleged to despise dogs but Ash quotes a 1662 account that states that 'There is no people in the world that looks after its dogs and horses as well as the Turk.' Perhaps there is a worldwide difference of attitude between those who use dogs and those who don't. The recognition, outside Turkey of their national dog, the Kangal Dog, tells you much about lobbying in the show world and not much about the pursuit of accuracy in breed titles by the various kennel clubs of the world. Enthusiasts are vital in any breed, but when they follow their own path, despite neither researching thoroughly nor respecting the country of origin’s position on their national breed, they can be a menace. 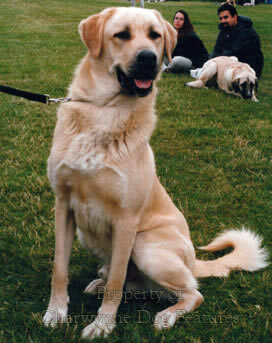 The flock guardian/livestock protection dog of Turkey is the Kangal Dog. The recognition by the KC here of the breed, in 1983, under the title of Anatolian Sheepdogs then Anatolian (Karabash) Dogs has long been disputed. Thirty years ago, I was invited to speak at the annual seminar of the English breed club by the leading enthusiast here, the late Natalka Czartoryska, about the background and likely history of the breed. On presenting my doubts about the validity of both the KC-accepted title and different breeds for this Turkish dog, based on evidence given to me by Susan Goldhor, Director of Agricultural Research at the School of Oriental and African Studies, supported by Dr Sebastian Payne, a British zoo-archaeologist, specializing in the origins of domestic animals in Turkey, in 1982 (also provided to the Chairman of the KC of the time) it was made abundantly clear to me that my views were unacceptable. Now, the KC has recognized the Turkish Kangal Dog but only alongside the continuing recognition of the Anatolian Shepherd Dog. This important step is a result of the work of Margaret Mellor, whose influential book, with Lesley Tahtakilic, The Kangal Dog of Turkey of 2009, is the best breed book and the convincingly-argued case for the correct title. I suspect that this impressive breed has influenced this type of dog across a wide spectrum; their phenotype, temperament and identical use is found in any number of countries, especially those adjacent to Turkey or once part of the Ottoman Empire. An aquaintance of mine, who, unusually, travelled widely in Albania in the 1990s, found identical dogs there performing their time-honoured role. The influence of the Kangal Dog can be seen in the Balkan flock guarding breeds. Such links are important; if and when a breed is found to have inherited defects, other related breeds need to be examined too, in their own long-term interests. The Kangal Dog of Central Turkey is expected to have a coat with solid colours varying from sand to pale grey, with the black mask considered ‘characteristic’. 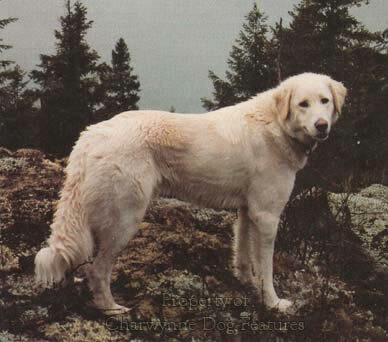 The white dog, or Akbas Dog of Western Turkey has made good progress in North America. The KC has decreed that, from 2005, in their breed of Anatolian Shepherd Dog, all coat colours are acceptable, with or without the black mask. 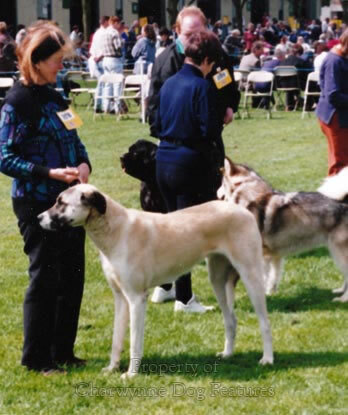 The KC recognized the Turkish Kangal Dog in 2005. It could be that in the course of time, every solid-coloured, sand to pale-grey dog with a black mask, is transferred to the Turkish Kangal Dog register, with the other type lapsing, out of a paucity of registrations. Earlier, I referred to the Livestock Protection Dog programme in the United States, in which the employment of powerful flock guarding breeds like the steppe dogs has been studied and then applied by Ray and Lorna Coppinger, both biologists. Their subsequent breeding programme has led to around a thousand dogs being placed with farmers and ranchers across 35 states. These dogs, selectively bred to produce ideal flock guarding specimens, come from Italian Maremma, Yugoslavian Sar Planinac, Anatolian Shepherd Dog, Hungarian Komondor and Pyrenean Mountain Dog stock, often inter-bred. Brought up from their first days of mobility as pups with sheep, these dogs are now being successfully used to deter predators, much to the gain of sheep farmers. Unlike herding dogs which respond to human commands, these guard dogs have to function without human intervention. These dogs learn not to guard livestock in set locations but to move with the sheep and patrol the area the sheep are grazing in at any one time. This is the system used by shepherds from the steppes of Hungary and Russia to the highlands of Tibet in the east and of the Iberian peninsula in the west, even taken to Uruguay by the Spanish colonists, leading to the emergence of the Uruguayan sheepdog, so like a Pyrenean Mastiff. Murray, in his Summer in the Pyrenees of 1837, observed that "The Pyrenean shepherd, his dog, and his flock, seem to understand each other's duties. Mutual security and affection are the bonds which unite them." Those few words are an apt summary of the shepherd-sheepdog partnership, which goes way beyond mere dog-ownership. 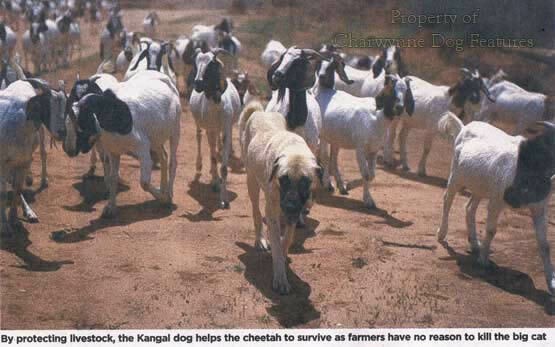 The use of Anatolians to protect goats from cheetahs, baboons, jackals and caracals in Namibia is another present-day example of the value of the timeless employment of big strapping dogs to protect livestock.